Whenever we feel pain in our joints, we treat them with ice packs or heating pads. But, you might never have used ice and heat therapy to manage your pain. Both the therapies together are advised because they both play an important role. Heat helps soothe joints and relax muscles whereas cold therapy helps in reducing the inflammation and numbing sharp pain. Heat boosts the flow of blood and also nutrients to the parts of the body. Cold slows blood flow, reduce swelling as well as pain. It is also best for short-term pain, like a muscle sprain. You can use this temperature therapy to complement meds and self-care. It is known to be a simple, soothing and also affordable treatment. 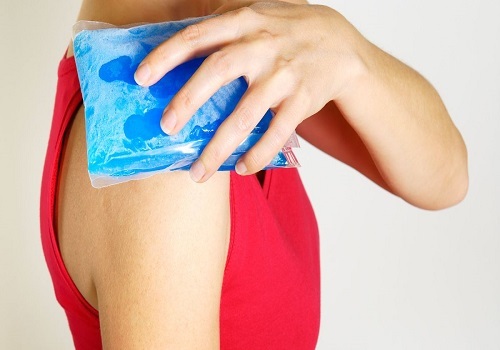 According to a general rule of thumb, you should use ice for acute injuries or pain, along with the inflammation of bones as well as swimming. If you have muscle pain or stiffness, go for heat therapy. When to opt for heat and cold therapy? Also Read: How is ice pick headache killing you? Heat therapy is effective in improving the circulation and the blood flow to a specific area due to the increase in temperature. If you treat the afflicted area by increasing the temperature slightly, you can soothe the discomfort. It can also help in increasing the flexibility of muscles and heal the damaged tissues. Dry Heat: Also called conducted heat, it includes sources like heating pads, dry heating packs, and even saunas. It is easy to apply. Moist Heat: Also called convection heat, it includes sources like steamed towels, moist heating packs, or hot baths. It is considered to be more effective. There are also some professional heat treatments available that can be applied. You can heat from an ultrasound. It can help you in reducing pain in tendonitis. When you choose to apply heat pads, go for local or whole body treatment. You could use small heated gel packs or hot water bottle if you want to treat the condition locally. If you want to go for full body treatment, choose options like a sauna or hot bath. If you are the patient of heart or hypertension, consult your doctor before going for heat therapy. This type of therapy is also called cryotherapy. It works by reducing the flow of blood to a particular area that can significantly reduce inflammation and also swelling which causes pain around the areas like joint or tendon. It can also reduce the nerve activity by relieving pain. You should not use ice therapy if you have sensory disorder It may damage the abilities to sense anything permanently. If you are diabetic, cold treatment is not the good choice for treatment. It can result in nerve damage and also lessened sensitivity. If you have a poor circulation of blood, cold therapy is not recommended. Share this with your friends and family and tell them how ice and heat work wonderfully in relieving pain. If it helped you as well, give your feedback in the section below. Stay Safe Stay Healthy!! !